American projector manufacturers Vivitek and Delta Electronics each claim that they have launched the first Full HD DLP projector that uses LEDs instead of a conventional lamp. However, as Vivitek is quoted as being 'a customer of Delta' it is likely that they share technologies. The LED light sources on each, Luminous Devices' PhlatLight chipset, eliminate the need for a colour wheel, enhancing saturation and hue and eradicating the dreaded 'rainbow effect'. And although the technology can't yet offer the same level of brightness as normal lamps, they offer a more ecological option. In addition, the lifespan for the technology is estimated at a staggering 20,000 hours (approximately 11 years if you use it for five hours every day). 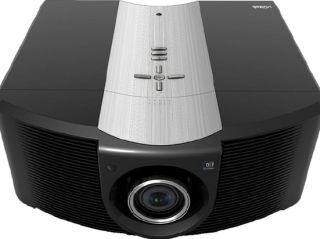 Details and specifications of Delta's HT-8000 projector are yet to be confirmed, but it's likely that they'll be uncannily similar to Vivitek's H6080FD. It offers resolutions up to 1080p, a brightness of 800 lumens, and a claimed 100,000:1 contrast ratio. Both projectors will be available in the US between Spring and Summer, with the H6080FD costing around $20,000. There's currently no indication when the tech will hit UK shores.